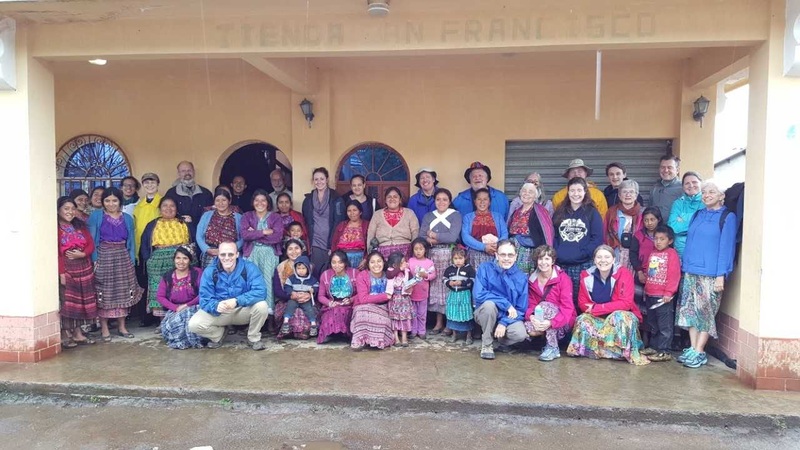 In June a group of twenty of us from (or related to) Nacoochee Presbyterian Church went for a weeklong visit to Guatemala. When we first arrived Emerson Morales, our trip leader from CEDEPCA, talked to us about expectations for our trip. He asked us not to think of it as a Mission Trip where we, the privileged first-worlders, come with the idea that we are going to ‘save’ the Guatemalans and fix all their issues. Instead he asked us to think of it as a Vision Trip where we focus on seeing the work that God is already doing in Guatemala and learning about how we can be a part of it. This was a defining moment for me, and I think for many others on the trip. They do not need us to save them, but they do need us to see them. 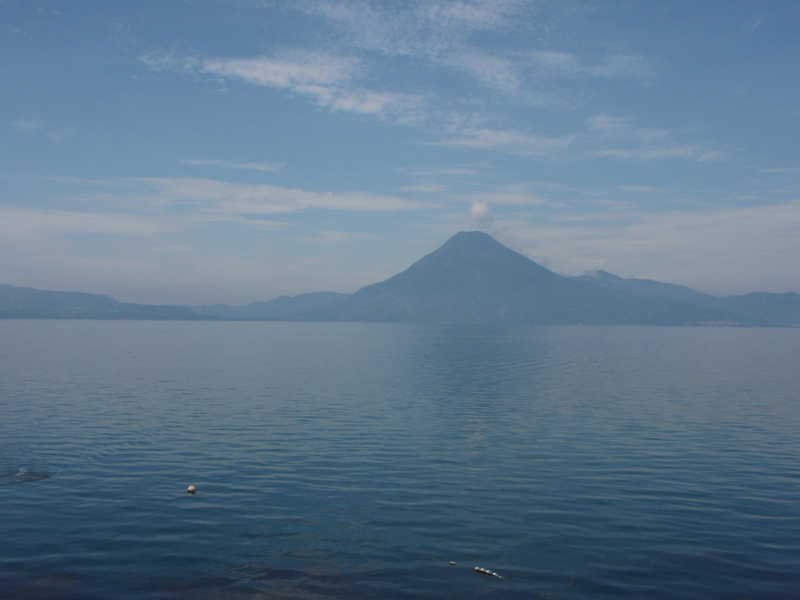 Our vision started by taking in the landscapes of Guatemala. The views of the dramatic volcanic mountains we saw as our bus climbed to altitudes of 9,000 feet above sea level were breathtakingly beautiful. An unforgettable moment for me was our magical first view of the blue of Lake Atitlan as we drove down to Panachel.We saw countless vistas of great beauty however what is especially striking is how the people have adapted what could have been seen as uninhabitable and unreachable land. They have carved roads and found ways to build their homes and plant their crops on even the steepest slopes. Land is precious and very little space is wasted. If there is no more room to expand in width then they just keep building up. Though we did pass places that are reminders of ecological and sustainability work that still needs to be done overall the landscapes of Guatemala are inspiring. Over and over we were reminded of the beauty and grandeur of God’s creation as well as the hard work, determination and persistence of the people who create homes there. 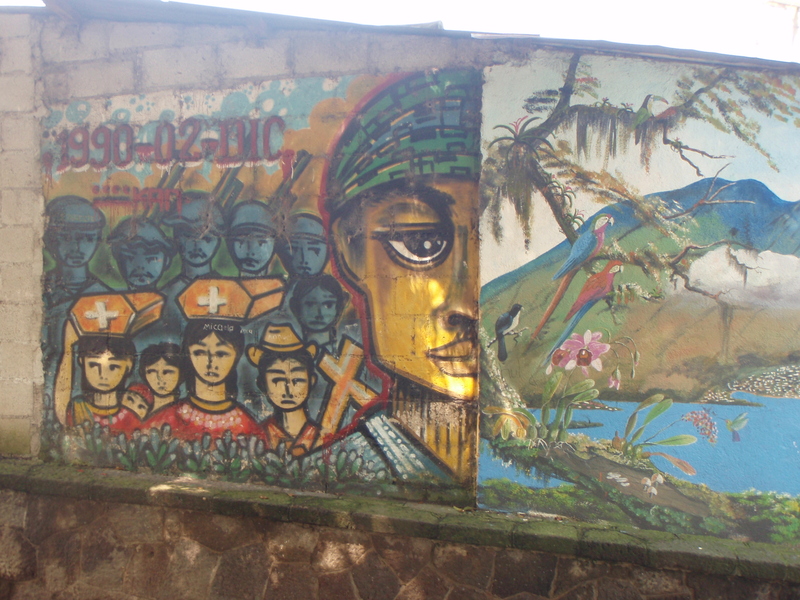 Seeing Guatemala is also learning about their history, both ancient and recent. It is a story full of tragedy and struggle which highlights the people’s resilience and fortitude. 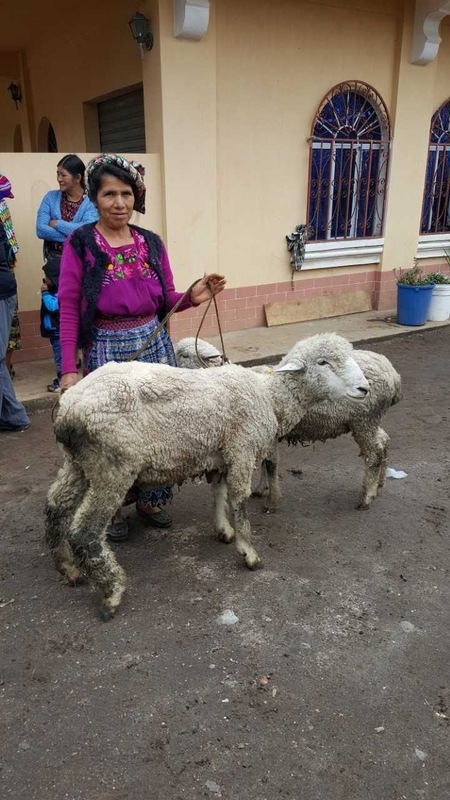 They have repeatedly dealt with natural disasters (volcanoes, earthquakes, hurricanes, mudslides, floods and droughts can all strike Guatemala) as well as political and socioeconomic injustice of such extremes that they are difficult to fully comprehend. Unfortunately our own country and culture’s culpability in some of the events is undeniable. Though we do not want to dwell on the dark chapters of their history, it is important that we are aware of them. Our vision of Guatemala is not complete unless we recognize how its history has shaped the present and continues to influence the work being done to improve the future. And a lot of work is being done. 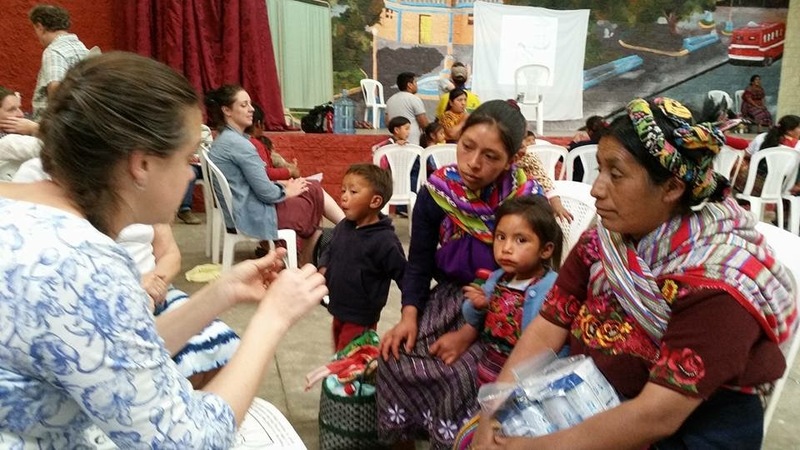 We were able to see firsthand what God is doing right now through the people of Guatemala for the people of Guatemala and, very importantly, we saw the people themselves. We shared smiles, waves, eye contact, conversation and even selfies. Everywhere we went, and especially in and around San Juan de Ostuncalco, we were made to feel very welcome. Our hosts, as well as people we met along the way who knew nothing about us, were warm, gracious and patient. They seemed genuinely pleased that we were visiting their communities. We were invited into their homes for fellowship and wonderful meals. We played with their children and hugged our prayer partners. We planted trees alongside them, and helped practiced each others languages. We visited their schools, attended their church, and admired their livestock and artisanship. We saw our fellow children of God and we will not forget them. Groups like CEDEPCA and the Mam Women’s Association are working tirelessly to help people continue to improve their lives. We met people like Emerson, Rosario Diaz, Elena Mendez, and an ex-immigrant named Willy who have dedicated their lives to making things better and it is working. Listening to stories and seeing examples of what the Womens Association groups have done with their microloans is inspiring in many ways. Instead of surrendering to obstacles these women have banded together to educate themselves and others, to find opportunities and then work relentlessly to accomplish their goals. 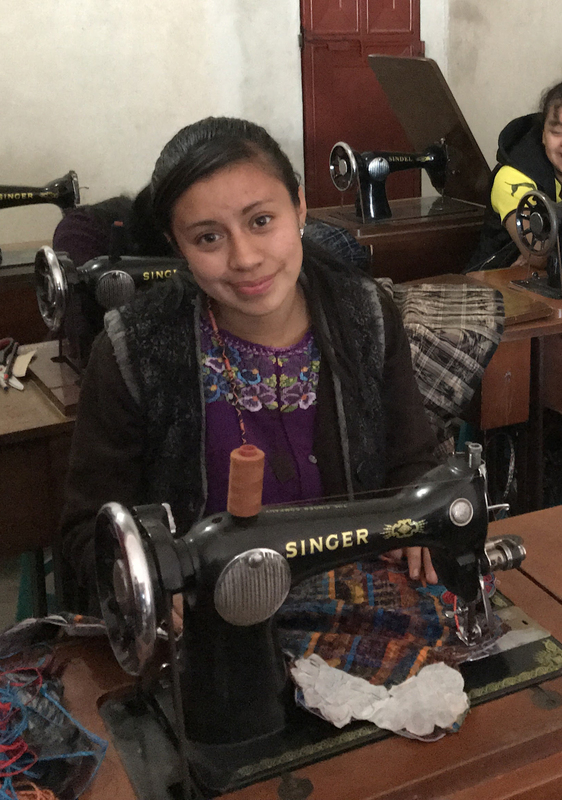 They are laboring not just to better their family’s financial situations, but also to continue to gain knowledge and skills that benefit their entire communities. They are open and eager to learn. The women we met, and many like them, are taking advantage of the chance for basic education and English classes at the Saturday school, developing skills like embroidery at the sewing school, and improving animal husbandry and agricultural techniques through programs from organizations like Heifer International. Attending and contributing to the health fair and visiting communities where new water filters and latrines have been installed reminded our group what access to education, clean water and hygienic facilities can mean. Tangible improvement been made and is continuing to be made by these programs. They are making a difference. Our Vision Trip to Guatemala will have a lasting effect on each member of our group. We have been given the gift of seeing Guatemala and with that gift comes a responsibility to share what we have seen done and what still needs to be done. I feel honored to have made this trip and to be part of a church that has supported this work for a long time and is committed to continuing to support it. I hope we will not “grow weary of doing good,” for the work we witnessed in Guatemala is able to continue to grow in depth and reach because of our contributions of money and time as well as our prayers. Lives are being changed. Children are not getting sick from dirty water, jobs are being created, education is more available and the Word and Love of God is being spread. Wow! 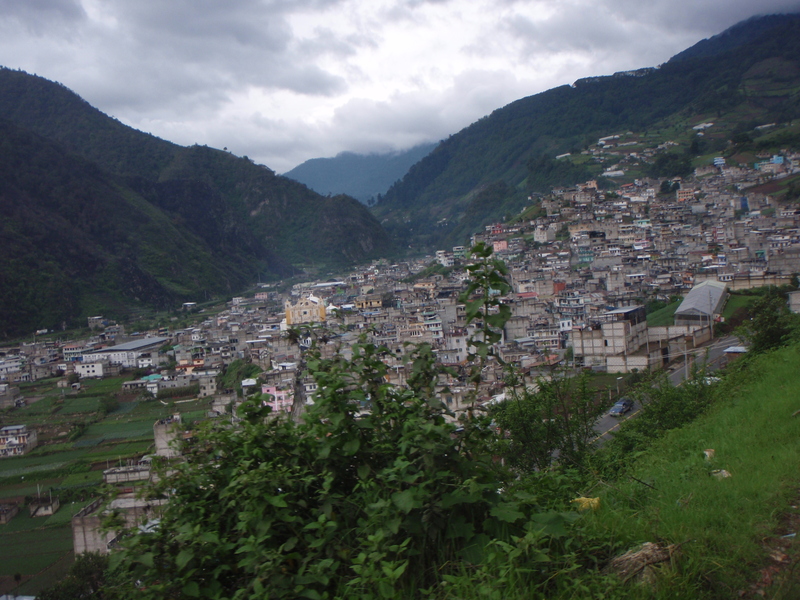 I love your writing style and you sense of passion as you describe your trip to Guatemala.